Forward Hector Chur (179-F) put on an extraordinary performance in the last round for Club Force and receives a Interperformances Liga Metropolitana Player of the Week award for round 3. He had a double-double of 26 points and 10 rebounds, while his team beat URL (#8, 0-2), the league's bottom-ranked team 60-47. Club Force maintains the 5th position in Guatemalan Liga Metropolitana. Club Force is a typical solid league team placed somewhere in the middle or a little bit lower in the standings. They need more victories to improve their 1-1 record. In the team's last game Chur had a remarkable six three-pointers out of 10 attempts. He turned to be Club Force's top player in his first season with the team. Chur has impressive league stats. He is in league's top in points (5th best: 19.5ppg). 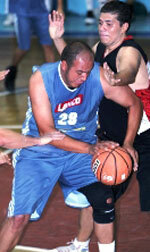 Second best performed player last round was Luis Menendez (179-G-95) of URL. He is a guard in his first season at URL. 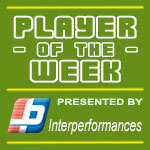 In the last game Menendez recorded impressive 18 points and 6 rebounds. Bad luck as URL lost that game 47-60 to Club Force (1-1). The season is still at the very beginning and this lost game may not be such crucial, of course if they start win the games. Let's wait for the next round. Menendez is a newcomer at URL and quickly became one of team's most reliable players. He belongs to the best scorers in the league with 18.0ppg (#8). He also registered 6.0 boards per game. Third place about best performers goes to swingman Rodrigo Vallejo (G/F-88) of Laminas C. (#3). Vallejo scored 16 points. 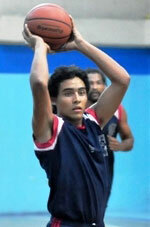 He was a key player of Laminas C., leading his team to a 73-63 win against Villa Nueva (1-1). Laminas C. needs these victories very badly if they think about getting closer to top teams. Their record at this point is 1 victories and 1 lost games. Vallejo has a great season in Guatemala. After only 2 games, he made it on the list of the league's leaders in points with 17.0ppg (9th best).